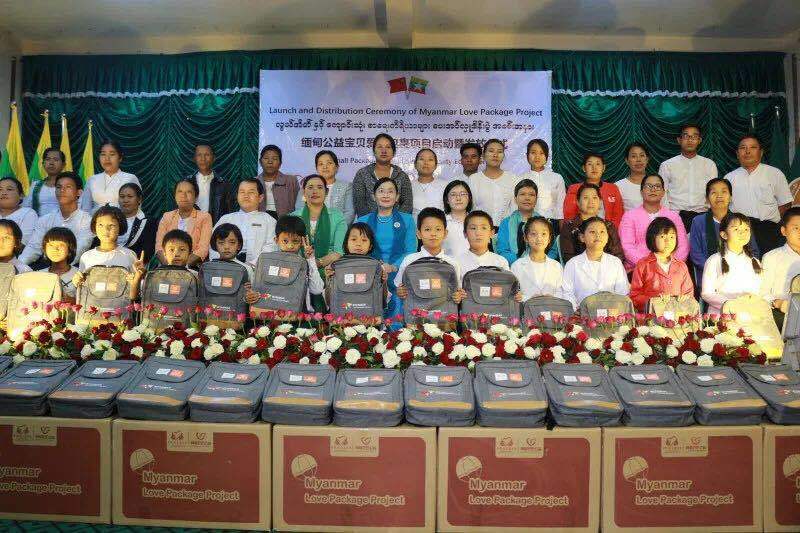 On June 19th, 2018, “Myanmar Love Package Project” to promote quality education for Myanmar primary students in poverty-stricken and marginalized areas has been successfully launched by China Foundation for Poverty Alleviation (CFPA), together with its local partner Shan State Women’s Affairs Organization (SSWAO), in Taunggyi. The theme for the ceremony was “Small Package, Great Love # Quality Education”. 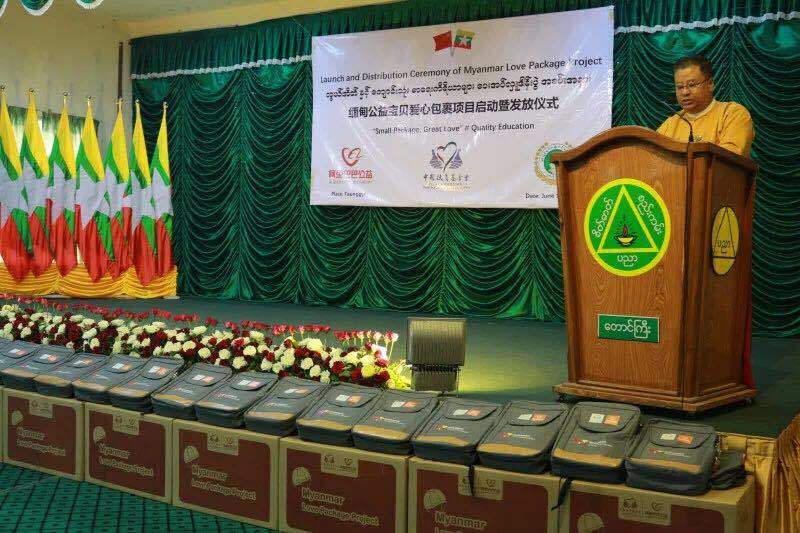 In his speech, Dr. Lin Htut, Chief Minister of Shan State Government expressed enthusiastic support for the “Myanmar Love Package Project”. He welcomed the launch of the project and stressed that Myanmar Love Package project is line with “Education for All” campaign in Myanmar. He also extended sincere gratitude and appreciation for China Foundation for Poverty Alleviation (CFPA) and the project donor, Alibaba Philanthropy, on behalf of the beneficiary primary students, whom he encouraged to study diligently to fully realize their potentials, in order to contribute to the future development of Myanmar society. In her speech, Deputy Country Director of China Foundation for Poverty Alleviation (CFPA) Myanmar Office, Ms. Lin Yuan noted that CFPA as an INGO headquartered in China has been implementing various programmes targeting at quality education, such as Myanmar Paukphaw Scholarship Project and computer lab. 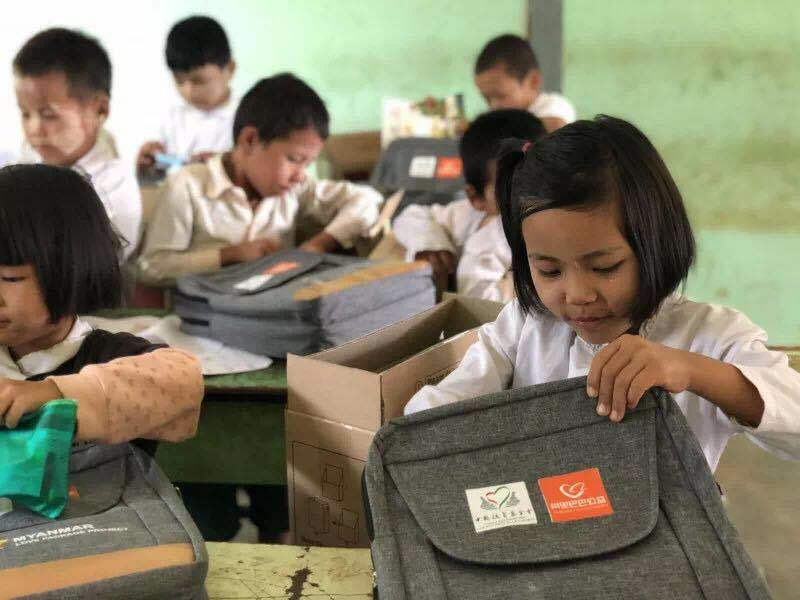 Myanmar Love Package project, containing schoolbag, basic learning and fine arts materials, was a new but solid effort to better primary students’ learning conditions and facilitate their all-round development. 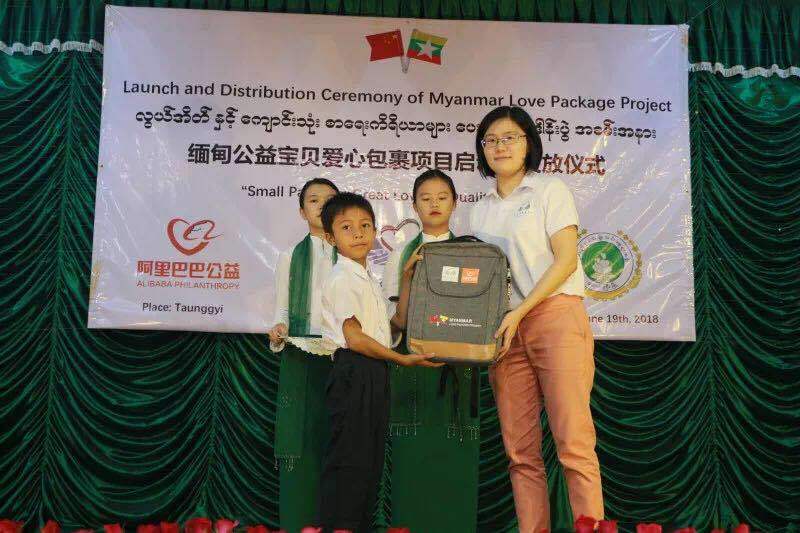 She further added, by implementing distributing love packages, CFPA further aspired to strengthen the long-lasting historical friendship dubbed “Pauk Phaw” between the peoples of Myanmar and China. Headmasters from beneficiary schools of the Myanmar Love Package project expressed tremendous thanks for this project, allowing all the underprivileged primary students in her school to access to adequate studying and fine art materials at the beginning of the new semester. 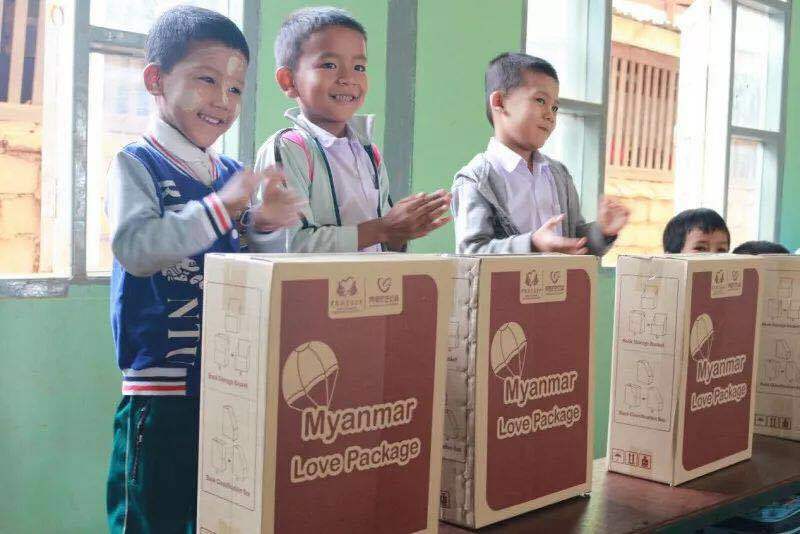 The successful launch and distribution ceremony of CFPA’s Myanmar Love Package project marks a new chapter in the sustained fight for quality education, and paves the way for the forthcoming action plan of distributing 30,000 throughout Myanmar in 2018. In 2015 CFPA was formally registered with Myanmar Ministry of Home Affairs to operate within Myanmar as an INGO. Guided by “Love without Borders, People Helping People”, CFPA Myanmar Office will always stand by with Myanmar people, and envisage to link big ideas with bold action to impact and empower individuals, and to generate cohesion of intelligence, will and power towards a progressive and prosperous Myanmar society.